Though being a useful helper, forex demo accounts can also cause harm. Today, I’ll show you what is the prime purpose of the demo account, how to use it and when to migrate from a demo account to a live account. Let’s get started. These days, a demo account is being offered by almost every forex broker. Demo accounts are virtual accounts with virtual money which is connected to a real trading platform, receiving real data on the market. That means you can open and close trades and it won’t cost you a single dollar. Even though, your trading commands are not really sent to the market, you will not recognize any difference. Demo accounts realistically simulate real trading. At first sight, the only difference is money – real vs. virtual. However, if you look at the issue in more detail, you will find out some more. Using a demo account comes handy in two situations. First, when you are a beginner. If you are not familiar with forex trading you should start with a demo account. You can test the trading platform and learn the basics of trading. 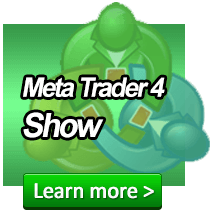 The most popular trading platform is Meta Trader 4. Once you become familiar with the trading platform and have at least the basic grasp of trading (trading volumes, tick/pip, e forex trading strategy etc.) stop using your demo account and progress to real trading. It should be emphasized that forex is affordable to everyone. Real micro forex account is something even students can afford. Anyway, all traders should take their first steps with small amounts of money. Because demo accounts can’t teach you the psychological aspects of the business and because trading with a demo account for too long makes no sense. After about a week or two of using a demo account, you should migrate to a live or real trading account. If you suffer a loss, it will not be any disaster, perhaps a few dozens of dollars. The experience and lessons learned will give you more than a year of trading with a demo account. TIP: What differentiates a good trader from a poor trader is not the strategy but their mindset and money management. Above we mentioned two situations in which demo accounts can be beneficial: One was the beginner stage. The second one is the testing of new trading strategies and new markets i.e. currencies, commodities etc. As an experienced forex trader, you will surely have at least one demo account as a backup. So far, it has seemed that the only difference between a demo account and a real account is money. Ideally – with a good forex broker – it is. Sometimes the demo account is optimized which in many cases is justifiable. During volatility peaks, typically following various meetings or press releases made by central banks prices tend to fluctuate. During such periods it is difficult for a broker to process a trading order, which might be delayed or rejected by a real market. With a demo account, you will not experience this problem. The fact that in some cases your real account is slower than the demo account might be caused by some unfair practices such as a set delay on your account. With a solid licensed and regulated broker, such problems don’t exist. Therefore, it is crucial to find yourself a reliable forex broker. Demo accounts can help enormously and we recommend that you all use them. Nevertheless, be aware that the demo account is not a tool to be used in the long run. Even a small real account with a few dollars and the experience when using it will give you much more.